Commitment to excellence is one of the pillars on which our day to day in British School of Valencia is based. It is, therefore, a great privilege to count on the guidance of the Chair of Governors who supports us in maintaining school standards whilst ensuring we focus on helping each and every pupil achieve their true potential. To this end, our Chair of Governors works together with the School Leadership Team to ensure the best possible academic outcomes and a clear vision of the values and strategic planning for British School of Valencia. This figure also monitors both our professionals’ and our students’ performance, optimising and overseeing the management of all school resources is carried out in an optimal way. 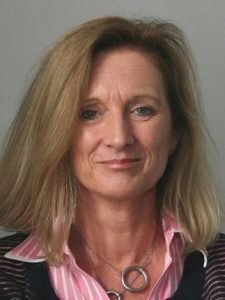 British School of Valencia is grateful to be able to call upon the expert guidance of Ms Fidelma Murphy, who serves as the school’s Chair of Governors and has over 25 years of experience at the forefront of International Education in Germany, Spain, Ireland and the Middle East. As Chair of Governors, Ms. Murphy works closely with the Principal in the appointment of staff, monitors the school’s performance in a range of areas and works as a critical friend to support us as we strive for excellence in everything we do. Ms. Murphy comments: ‘It is a privilege to be the Chair of Governors for British School of Valencia. The students at BSV are a joy to interact with; they are open minded global citizens who are actively involved in the learning process. They are reflective communicators who embrace opportunities to develop their learning skills. Ms. Murphy has extensive experience in International Schools and was part of a start-up team in the Outstanding Schools Programme in the Middle East. Ms. Murphy was a Principal at two schools, an IB school visitor and an examiner for Cambridge Examinations. Fidelma joined Cognita in August 2018.